Looking For More Space, But Want To Be Close to Town? Welcome to the perfect property! With 2.5+/- acres just outside city limits, this beautifully remodeled Westside 1,900+/- square foot 3 bedroom/2.5 bathroom home has it all, plus a 30'x60' shop & a 20'x40' RV barn. The home has a desirable open floorplan, tile flooring throughout, living room with fireplace, upgraded island kitchen, sunken family room, indoor laundry & a gorgeous master suite with dual vanities, walk-in shower & a separate garden tub. Outside you'll enjoy the private patio, garden area, fenced pasture, sheds & small animal shelters. 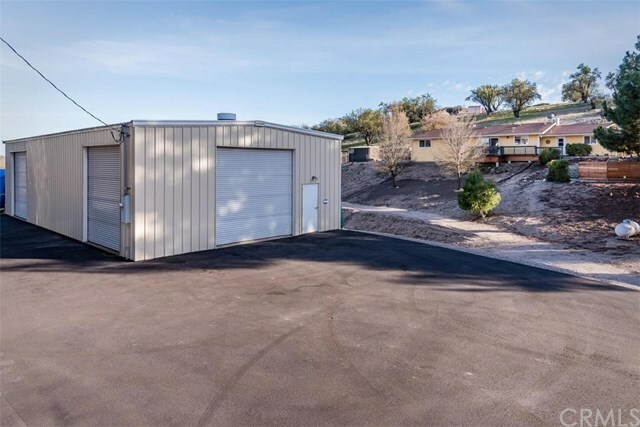 Hobbyists and car enthusiasts will love the large shop with 3 roll-up doors, car lift, compressed air, updated lighting, heating & air conditioning, and newly installed paved driveway & parking area. Letâs recap...Westside 2.5 acres near town with a single level home & spacious shop...what more do you need?! Directions: Go west of 24th St off Spring or Vine St., 24th turns into Nacimiento Lake Dr, property just past Mustang Springs Rd on left side.